The Only Ramp That Can Be Built To Any Length! Roll-a-Ramp is a unique portable ramp system that can be built to any length and rolled up for easy storage. 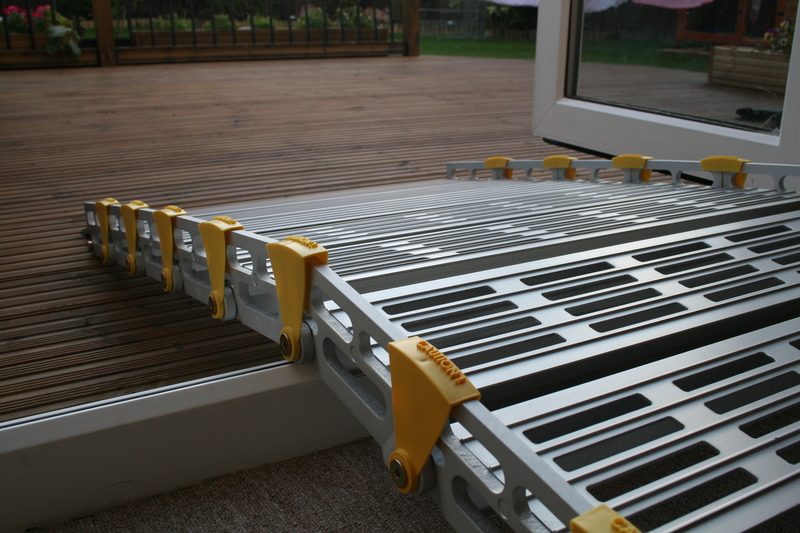 Whilst other ramps on the market are of a fixed length, Roll-a-Ramp can be shortened or lengthened to fit any situation for both wheelchair access and semi-industrial usage. Roll-a-Ramp are specially designed to curve over thresholds. Roll-a-Ramp is modular and can be built to any length you require, so it is perfect for even the highest of rises. The ramp simply rolls up for easy storage and most sizes can fit in a car boot. For very long ramps, Roll-a-Ramp can easily be split into manageable sections which can be simply reattached. All our ramps are ideal for wheelchairs, scooters and even walking. Roll-a-Ramp is the ultimate portable ramp system which has totally revolutionised the disability access and the wheelchair ramp market. 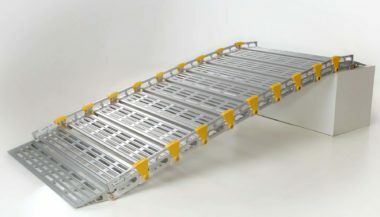 Its unique simplicity and load-bearing strength of (1000lbs) allow it to adapt to countless ramp access applications. Use our length calculator below to find out the length you need. Hire a Ramp	Buy a Ramp	What length ramp do I need? Welcome to Roll-a-ramp, we are the UK's leading supplier of wheelchair ramps. We offer solutions to all your access problems. Please answer the following questions to find out your ideal length. 1What is the total rise you need to climb? 2What will the ramp be used for? 3Choose the width of your ramp. 4Are you looking to hire or buy? Calculating the length of wheelchair ramp required is very easy. Simply measure the total rise required i.e. if each step is 4 inches high and you have 2 steps then the total rise is 8 inches. Select what the ramp is going to be used for, and the width of ramp required, our 30 inch wide ramp is suitable for 90% of applications. Roll-a-Ramp is versatile and simple! For more information about Roll-a-Ramp or our Folding Ramps then please do not hesitate to get in contact.